Tales Of A Nomad: Sakleshpur- A Sojourn Amidst Coffee Beans...!! Sakleshpur- A Sojourn Amidst Coffee Beans...!! Running short of options for a weekend getaway is not so unusual and the situation was quite similar when we planned for one. A lot of googling led us to Sakleshpur, a small town in southern Karnataka, famous for coffee and pepper plantations. 20 kms away from this place lies a small home stay by the name Coffee Valley. A train journey from Bengaluru landed us at the deserted Sakleshpur railway station at 4 am. That was indeed a spooky stay of almost half an hour before our pick up car came. With absolutely no trace of human beings around we found it to be quite adventurous. A bumpy and foggy ride through the coffee plantations to the home stay was exhilarating. Nestled beautifully amidst the coffee plantations and small hills, this cosy place is off the common travel routes and chances of you getting there without the owners help is highly unlikely. It was quite a foggy day with continuous drizzle and the whole place looked quite similar to the beautiful picturizations from the Kannada movie, Mungaru Male. The hosts were very friendly and after a lovely coffee made from the beans from their plantation, we headed to our rooms. The rooms were situated behind the owners house. There were in total 4 rooms with all the facilities. After some tasty dosas, soft idlis, tangy chuntney and hot coffee for a mouth watering breakfast it was time to burn it down with a lovely walk through the coffee and pepper plantations. It continuously drizzled and the whole experience was quite romantic. Being situated amidst the plantations, all that we could see were coffee beans and pepper. 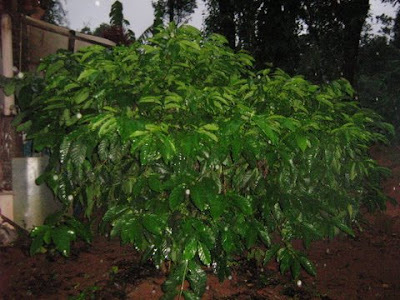 It was wet, green, misty all around and the aroma of coffee beans and the spicy pepper was refreshing. A short drive from there and we were deep inside the green hills with chilly weather and blood sucking leeches for company. A small trek through the semi-wilderness lead to a small temple on top of a hill. A couple of photo shoots later, we were further trekking up a hill. The mist had engulfed us by then and with the drizzle turning stronger we could hardly see anyone beyond a distance of 50 feet. The view from the top was absolutely stunning and the feel of getting drenched on top of a hill with just the mist surrounding us was bliss. Our host was quite helpful as he led us to all these unknown places. It neither looked touristy nor did it have any sort commercialisation. We just soaked into the natural surroundings and gaped at the mesmerising scenery. The trek down turned out to be with a lot of companionship in the form of leeches. With very few human beings around, they must have been quite surprised to find some tasty bloods walking around. A scenic return drive and we were back into the world of coffee and pepper. More lazy walks through the plantations, a sumptuous kannadiga lunch and it was time for a party in the wilderness. The night was chilly, windy and rainy. With pitch darkness outside, we were happy to enjoy the warmth of the rooms. Next day blossomed with some more refreshing coffee and a lovely chat with the owner about his plantations﻿. The whole morning was spent listening to the birds chirping and the water droplets dripping. Any traveler who visits here would definitely pen down a few lines. After lunch it was time to pack, head back to bangalore and be content with the machine coffee. This is definitely an off-beat destination, with absolutely nil tourists, no view points, no famous waterfalls, no itineraries and no trekking routes. 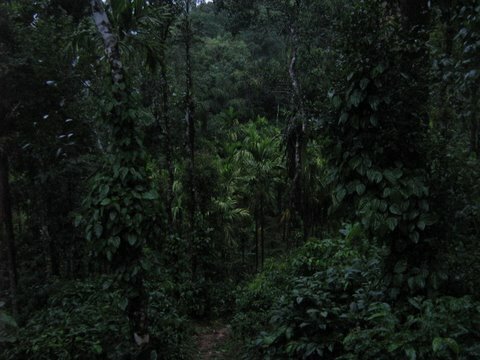 The attraction of Coffee Valley near Sakleshpur is that it is devoid of tourism activities and commercialisation. 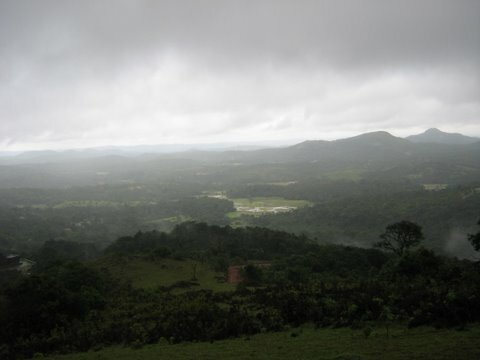 It is all about soaking into the aroma of coffee and enjoying the misty and wet climate of the western ghats. 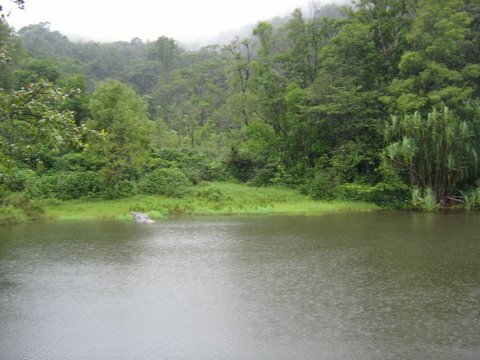 It is best reccomended to visit the place during the monsoon season. Signing Note: Get soaked into the aroma of Coffee...!! Route- Bengaluru- Kunigal- Channarayapatana- Hassan- Sakleshpur- Coffee Valley. Yup bro. Its a place to head to if you are in search of solitude. Yes, its an absolutely fabulous getaway from Bengaluru. i've loved the misty / sleepy feel of sakleshpur everytime i passed by. but, never managed to stay back and explore the place. there are some wonderful trek options around sakleshpur too. if u have not done them already, i wud suggest ombattu gudda trek or donigal - yedakumeri - shiribagilu - subramanya trek to start with. Yup, there are wonderful trekking options. However i havent tried any. Is the donigal- subramanya railway track trek still open? would love to do that sometime. heard its not open these days for trekking. Got to check it out. Beautiful place and writeup..I could almost imagine myself there with your description ! Beautiful place - and awesome photography. Our home stay owner was also our guide. There are many resorts and home stays in Sakleshpur. So you will have somebody to show you around. This is a place which does not boast of a fixed tourist itinerary. Enjoy whatever the nature offers to you and that is the itinerary. Yeah, it is near Chikmagalur. Misty mountains and serene atmosphere with coffee! Such a great combination. Yeah, definitely was a new experience then. 6300 Feet Above Sea Level...!! Swaying Palms and Floating Boats...! !